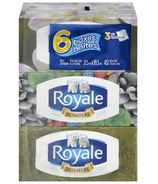 For 50 years ROYALE has been a fixture in Canadian bathrooms.Â Today that tradition continues throughout the entire home, as ROYALE is Canada's only consumer household paper brand that markets a full line of products including bathroom tissue, facial tissue, paper towels, and napkins. 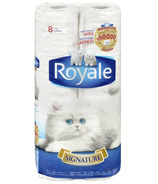 For 50 years ROYALE has been a fixture in Canadian bathrooms. 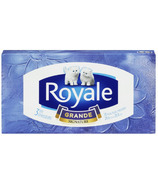 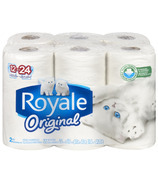 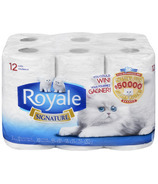 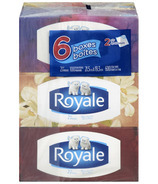 Today that tradition continues throughout the entire home, as ROYALE is Canada's only consumer household paper brand that markets a full line of products including bathroom tissue, facial tissue, paper towels, and napkins. 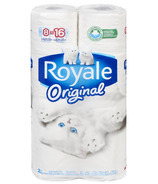 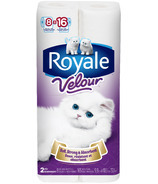 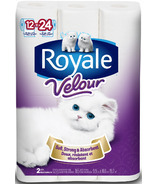 The entire family of ROYALE products is always under the watchful eye of our well-known, ambassadors of softness, the ROYALE Kittens. 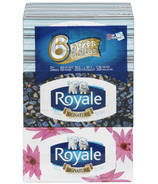 For 50 years, they have played an important roll in ROYALE's image and are today seen as a promise of quality by consumers from coast to coast. 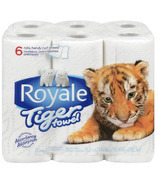 The entire ROYALE Family of products is made by Irving Tissue, a proudly Canadian company committed to producing quality tissue products through responsible forest management.